Recently I’ve been reading an odd mish-mash of books, mostly ones I’m obligated to read or just found lying around. Still, I like to talk about the books I read, even the odd or boring ones. So here we go, my latest thoughts about books. Jesus’ Son, by Dennis Johnson. I’m reading this book for my Advanced Fiction Writing class. It’s a bunch of stories about a shiftless drug addict who drives around in cars a lot. My teacher responded by saying that we should always assume that an author did what they did intentionally. Wait, so I was right? I giggled to myself. Someday maybe I’ll write something disjointed and full of pretty words and deep themes of life and death, and fool all the literary people into thinking the things that randomly tumbled from my mind were INTENTIONAL. 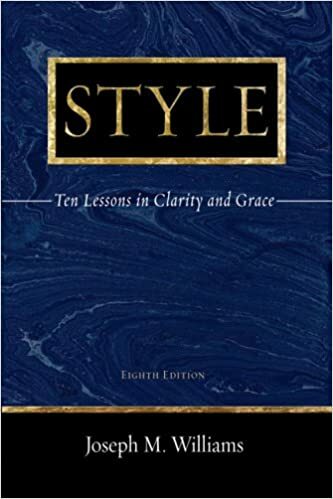 Style: Ten Lessons in Clarity and Grace, by Joseph Williams, is one of the best books on writing I’ve ever read. It’s the textbook for my Style and the Sentence class. To be honest, when I signed up for the class I was kinda dubious. I needed it to get my writing minor, but a whole class dedicated to sentences? Really? But this book made up for it. Straight to the point. Practical. It doesn’t just say “make your writing clearer,” it breaks it down to the sentence level and shows WHAT weird things we do to try to “sound smarter” that make our writing unreadable. I can think of a few (hundred) academic writers who should have read this book. I picked up this book because I was house sitting, needed a book to read, and pulled this off the shelf. There was nothing special to the story, but on the bright side, there were no deep over-dramatic feelings either. 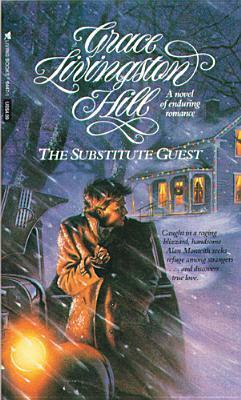 I continued to read as the main character tried to deliver some medicine to a remote castle on a mountain in a blizzard, got stranded at a farmhouse, and spent Christmas with a nice homey family which included a cute blue-eyed young lady. I suppose he’ll fall in love with her, but I won’t ever know for sure because I found a bookshelf in the attic with a more interesting book on the shelf. So far I’m a big fan of Gerald and Elizabeth. I like that it focuses on a relationship that isn’t a romantic one. I’m interested in the way it addresses mental illness. It’s also interesting in the way it addresses the oddness of being close to someone who’s famous. The Christian Grad Fellowship I hang out with is reading this book this term. 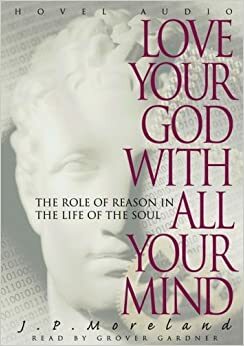 I’ve only read the first chapter so far, but as an academic I love the premise that our faith should be based on logical well-thought-out premises, not just on our “feelings.” I would be curious to know how it comes across to non-academics. I recently read this for an online book club I have with some of my friends, and quite enjoyed it, despite it’s odd nature. It’s about an England of the future in which the king (who is randomly selected by lottery) views his position as a great joke. Meanwhile, this kid from Notting Hill (a borough of London) decides to fight an epic battle for Notting Hill independence, and takes it SO SERIOUSLY. I finished the book thinking it was an interesting absurd story meant to point out that 1. human nature will keep the world from ever becoming truly “progressive,” and 2. some things are worth taking seriously and some things are worth joking about, and either extreme causes trouble. The other book club members thought it meant different things, so I guess the jury’s still out on what it REALLY means. I suppose Google would probably tell me. Also, do you have any good book recommendations? Finally, this has been day 13 of the April Blogging Challenge. Jenny wrote on day 12 here, and Mom wrote on day 11 here. Glad to see Chesterton made it in there. I haven’t read that book yet, but I really like him. Any particular Chesterton book you’d recommend? I loved Miss Buncle’s Book! Have you read D. E. Stevensons Mrs Tim series? Loved those too but haven’t really gotten into any of her other books. I actually have one of the Mrs Tim books, but I haven’t read it yet because after I bought it I saw it was a later book in the series, and I didn’t want to make the Amberwell mistake again, haha. I’ve read it, good book! During the week before Easter our church, along with a sister church, held its joint annual Spring Bible Conference. Our guest speaker taught us how to study, understand, and integrate Job, Ecclesiastes, and Proverbs as “wisdom literature” and apply God’s wisdom to daily life. It was excellent; profound even, and of course, biblical. This speaker is a Hebrew scholar and professor of Old Testament at Westminster Seminary near San Diego. of “The Chosen”. Now this is on my “must read” bucket list, in line behind about two dozen other buckets! I wanted you to be aware of Chaim Potok. My favorite book about writing, is Bird by Bird by Anne Lamott. I really want to know what weird things I do that muddle up my writing because I’m trying to sound smarter. Can you give some examples, or do I have to read the book? “A Severe Mercy” by Sheldon Vanauken is one I think everyone should read. “Mister God, This is Anna” by Fynn is out of the box and weird, in the best kind of way. “The House on Garibaldi Street” by Isser Harel is fascinating if you’re interested in stories about WWII, and about cleaning up the aftermath. “The Curated Closet” by Anuschka Rees is a perspective on fashion that I haven’t found quite anywhere else. “Escape From Colditz” by P. R. Reid is one that made its rounds through my family, and each time a new member read it we had to vigorously discuss it all over again, because we all just loved it that much. It’s also a WWII story, but somehow manages to be funny rather than morbid. Need I mention all things C. S. Lewis? I like Chesterton! Especially “Orthodoxy” and his “Father Brown” books. I just finished “Living Translation” by Bruce A. Smith — a great autobiography with such nice life lessons. Right now I’m in the middle of “Winning with People” by John Maxwell, “Extreme Ownership” by Willink & Babin and all three of Nabeel Qureshi’s books.